This ambitious work offers a comprehensive mapping of the cultural landscape of China in the late twentieth century. By focusing on Chinese cultural formations and critical discourses of the last decade of the century, the book dissects the intellectual, economic, and political contradictions of a turbulent era-post-cold war, postsocialist, and postmodern-in China's history. 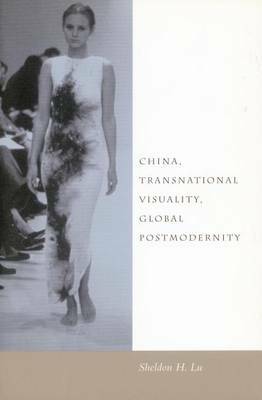 The author defines the emergent logic of Chinese postmodernity within a dominant system of global capitalism and points to the central role of the transnational flow of visual culture in the establishment of local and national identity. The Chinese case demonstrates that the old conceptual scheme of Euro-American postmodernism versus Third World national culture is no longer feasible. This wide-ranging, deeply interdisciplinary work demarcates the cultural terrain by examining diverse media: film, television, avant-garde art, and literature, as well as critical theory and intellectual history. Part I reviews the raging critical debates about the public sphere, the academy, intellectual identity, cultural politics, and economic globalization, in the process examining the Chinese appropriation of discourses of modernity, postmodernity, and postcoloniality. Part II investigates the impact of globalization and diaspora on the formation of citizenship and nationality as articulated in mainland Chinese and Hong Kong films. Part III probes issues of post-orientalism, postmodernism, and strategies of representation in contemporary Chinese art. Part IV studies pop music, soap opera, and literary bestsellers, pinpointing the dialectic and mediating function of popular culture amid the forces of official socialist ideology, capitalist commodification, mass entertainment, and transnational images in contemporary China. Overall, the book is an insightful analysis of the ironies of the cultural logic of Chinese socialism in a period that has seen accelerated economic integration into the capitalist world system, but without major political change.